Chef Sylvestre Wahid was trained in Nîmes, France through an apprenticeship as the the pupil of Thierry Marx at the Cheval Blanc. 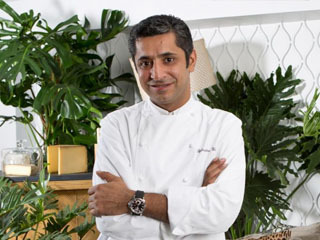 He then spent one year with Alain Soliverès at the restaurant Les Elysées du Vernet in Paris. Then, in 1997, he joined Alain Ducasse to complete his training, first working alongside Chef Ducasse at 59 Poincaré. In 2005, Sylvestre became chef of the Oustau de Baumanière and was given two stars by the Michelin guide. After a few years, he embarked upon a dual experience working at Baux-de-Provence in the Summer, and in Courchevel in the winter at the restaurant of the Le Strato luxury hotel, where he was again granted two stars. Today, by taking over the beautiful kitchens of Paris’s Hôtel Thoumieux, Sylvestre Wahid is entering a third phase: the one that bears his name, and has been awarded 2 Michelin stars, Restaurant Sylvestre. 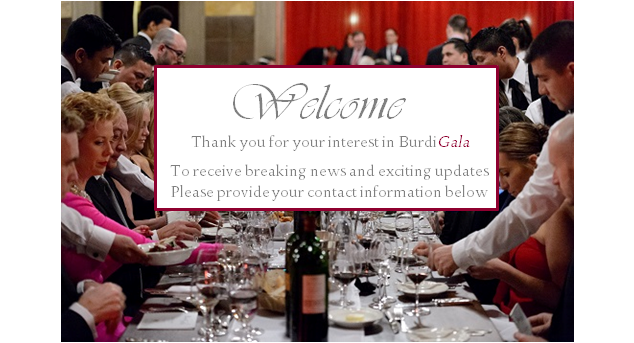 In 2017, BurdiGala will have the honor to welcome Chef Sylvestre Wahid as well as his brother, Jonathan Wahid, who was awarded the 2005 ‘Best Pastry Chef of France”. Jonathan has served as Pastry Chef at the Oustau de Baumanière and two-starred restaurant Le Strato in Courchevel as well, before working at the Ritz for seven years.